Summary: Take advantage of our FREE door-to-door delivery simply by placing your order requests via phone, email, or online! Learn more. Take advantage of our FREE door-to-door delivery simply by placing your order for $75 (+GST) via phone, email, or shopping online! Pak-Rite is a family business driven by values of service, integrity, and sustainability. We put customers first, and passionately believe that when it comes to service: We are the best in the business. Pak-Rite has been helping the region for over 30 years providing cleaning, washroom, packaging, and hand-hygiene solutions to hospitality, healthcare, education, and industrial sectors. Pak-Rite offers an ever-growing range of environmentally-friendly products and prograsm to make it an easier decision to take the greener, more sustainable, and thoughtful consumption path. Pak-Rite has a dedicated Field Service Technician, Account Managers, 24/7 online ordering, and even Cash Sales at warehouse prices. Get access to our exclusive Pak-Rite online catalogue, and other additional features by registering online --and even get discounts like our FRIENDS PRICE! Click here to fill up the form, and our team will contact you the next business day. Got questions? 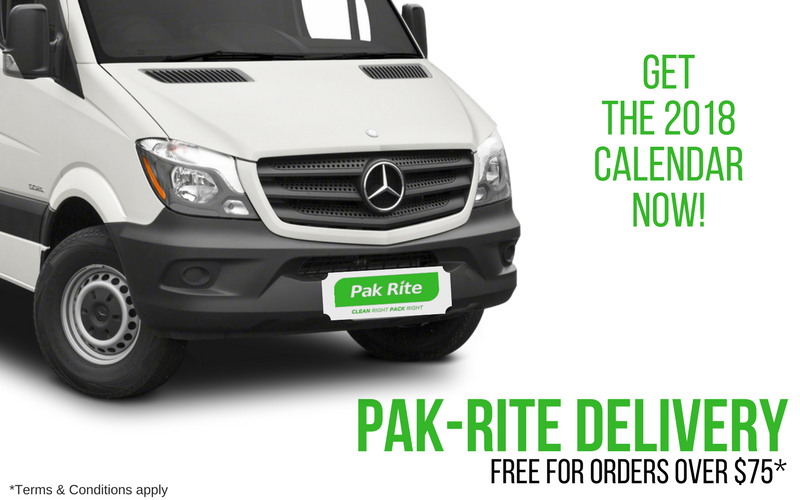 Call (08) 8398 2872 or email sales@pak-rite.com.au.